ABSTRACT: Teacher quality is one of the most influential factors that impacts on student achievement and there is widespread acknowledgment that perhaps the most important factor in determining how well children do at school is the teacher. Australia, like other countries, has been concerned about teacher quality and over the last decade there have been over 40 reports on various aspects of teacher education, each making various recommendations for improvement. 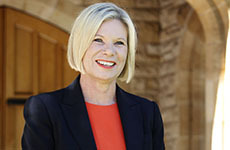 Initial teacher education is identified as one such area and the most recent report, Australian’s Teacher Education Ministerial Advisory Group (TEMAG) which was established 2014, was to provide advice to the federal government concerning the effectiveness of the pedagogy, subject content and professional experience offered by teacher education providers. According to TEMAG’s own report the review itself grew out of ‘two clear propositions: that improving the capability of teachers is crucial to lifting student outcomes; and that the Australian community does not have confidence in the quality and effectiveness of new teachers’ (TEMAG 2015, p. 1). Thus the attraction, retention and sustainability of early career teachers to the profession is critical. Responses to the Staff in Australia’s School survey in 2013 indicated that the majority of teachers expected that teaching would be a lifetime career, but, teachers experience transition challenges as they adjust to the workplace, attempt to accommodate school expectations and workloads, feel pressured in implementing school policy and curriculum, and feel high accountability for student learning outcomes. Teacher wellbeing is increasingly affected by feelings of being overwhelmed, having low self-confidence, and oscillating levels of motivation and energy. This entry was posted in Alumni, Connect, Research, Research Seminars, Uncategorized and tagged excellence in teaching, high academic performance, lecture, research, school of education, teaching careers. Bookmark the permalink.